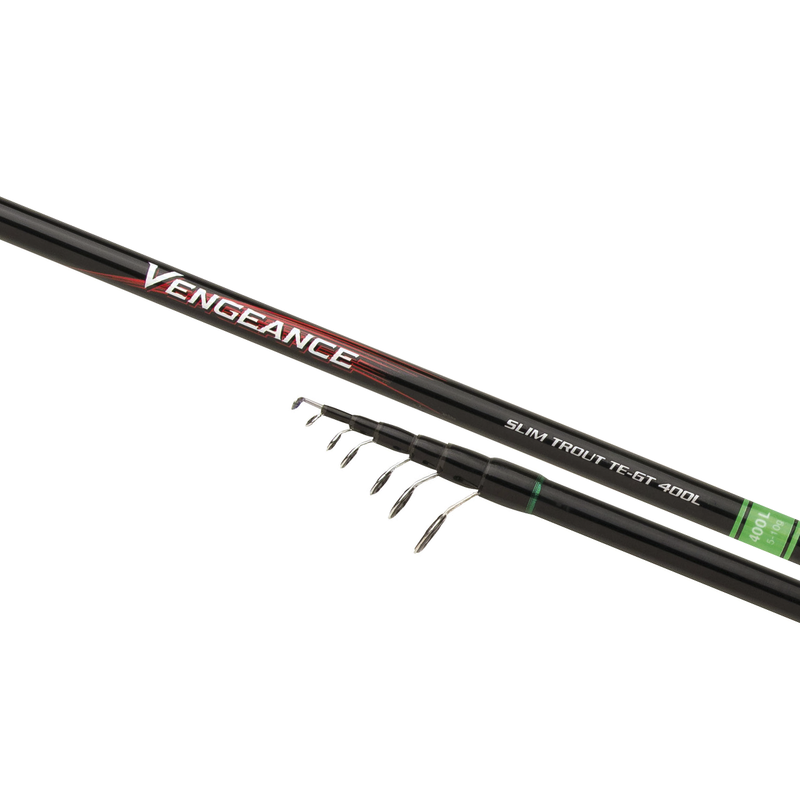 The Vengeance AX TE 5 represents a revolution in construction of telescopic rods for the Bolognese economy market. Made using XT30 carbon + Geofibre and beautifully finished with a Shimano reel seat, Pac Bay guides and modern cosmetics. Casting weight ratings are 4 to 20g for all.